Ideal for connecting devices such as printers, cameras, camcorders, and PC peripherals. Lets you connect a FireWire 800 device to a FireWire 400 device. Real-time digital audio and video transfer, Plug-and-Play device installation. 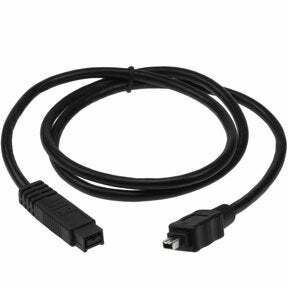 IEEE-1394 FireWire cable is commonly used on older digital camcorders, camera, printers, and other PC accessories to transfer video or data to a PC. We have a wide range of Firewires available at SF Cable. We have 6-pin to 6-pin Firewire Cables, 6-pin to 4-pin Firewire Cables, 4-pin to 4-pin Firewire Cables, 9-pin to 4-pin Firewire Cables, 9-pin to 6-pin Firewire Cables, 9-pin to 9-pin Firewire Cables, and more… All cables are available in various lengths as well. All our products are RoHS compliant and environment friendly. Customer satisfaction and safety is our ultimate goal hence we only transact in products manufactured by ISO 9001-2000 registered manufacturers. We provide quality services after sales and also offer lifetime technical support on our products.